This is a charming museum, and it seems to encompass most of the original Bonnet silk factory in Jujurieux, a small town in the department of Ain. The hub of the silk-production industry was Lyon. C J Bonnet founded a company in that city in 1810 and established this factory at Jujurieux in 1835. The museum tour is an opportunity to discover this unique industrial heritage, which is so rare to find these days. Before the First World War it employed up to 2,000 workers, mostly young women, and many of them living at the Bonnet factory. Even now it’s still easy to imagine them streaming in and out of the factory gates. T he manufacturing processes developed under the founder’s leadership until his death in 1867. His grandsons, Antoine Richard and Cyril Cottin, took over the management while continuing to develop the products. Until the 1880s, all Maison Bonnet fabrics were hand woven. In a document published in 1870 the author states that “the staff is entirely female. It is composed of six hundred girls led by the Sisters of St. Joseph who live in constant contact with the workers, supervise them in their work, and preside over their intellectual and material instruction.” It doesn’t sound like a grand life, but at least it was secure employment. The buildings are striking, and great examples of industrial architecture of that era. One can see the factory floor with its looms and only guess at the heat and the noise generated by the activities. There are looms from down the ages, showing the progress of technology and design. 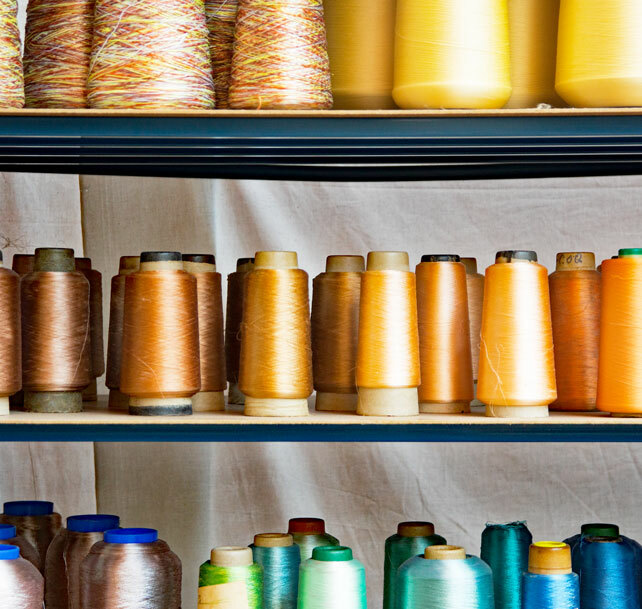 There are racks of threads and fabric samples, showing exactly how different types of silk fabric were made. This is a museum for the whole family. The kids might not understand the technical details of silk weaving, but they will surely love to see the huge machines – and then there is the wildlife as well. Yes, there are real silkworms to see. The factory continued to work successfully until the 1960s. The company suffered from the results of recession and competition from cheap fabric imports, and ready-made clothes from Asia in particular. But it leaves a rich legacy to the local community and to visitors, who can enjoy a truly one-off experience. 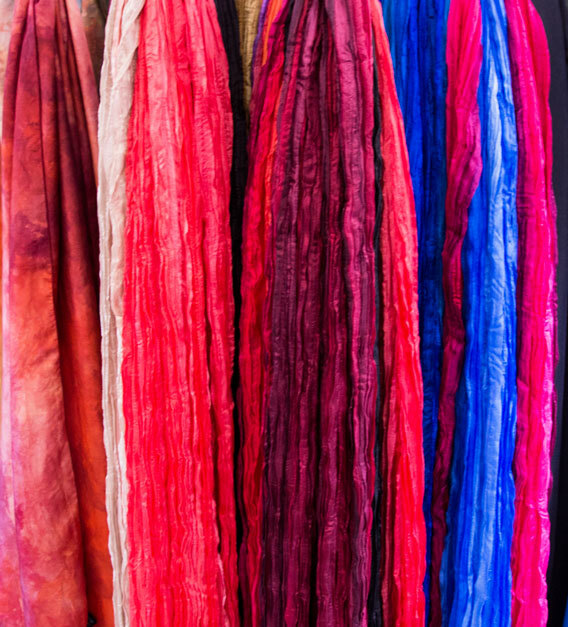 Now is a perfect time to visit the Bonnet Silk Factory. 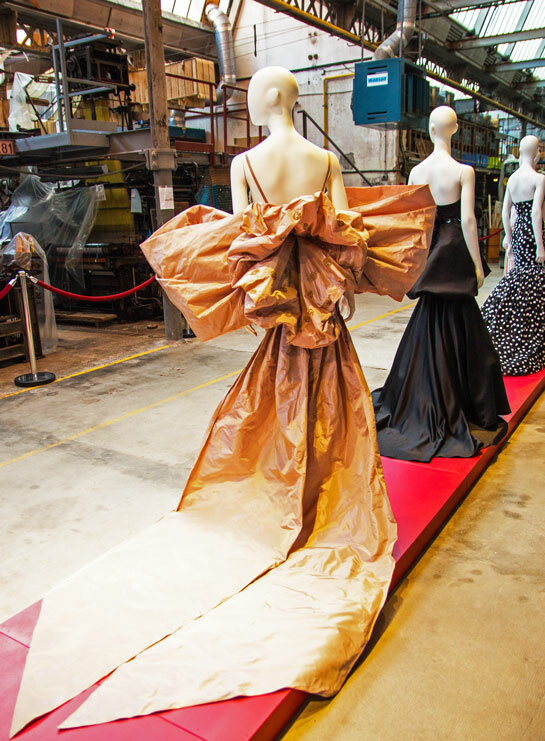 Fashion designer Denis Durand is using the factory floor, not to work there but to exhibit. This grandson of a Lyonnais weaver is settled in Cannes but showing some his most striking creations in the museum until the end of October 2018. His creations are very “French haute couture”, showing both glamour and elegance in fabric and form. He is a designer to the stars and other society women. His dresses have been made in his workshop on the Côte d’Azur and he has used silk to great advantage in his creations, paying tribute to those silk workers who last clocked in here in 2001. They would be proud to see that silk is still a fabric with a place in high fashion, and that it is still appreciated by those who can afford that delicate fabric against their skin. The Denis Durand Exhibition can be seen at the Bonnet Silk Factory Museum until 31 October 2018.